Your body already knows how to burn fat naturally. In fact, you can do it while you sleep. You can make the process better, though, with just a little bit of planning. Here is how. Your body already “knows” how to burn fat naturally while you sleep. This isn’t silly marketing hype, even though marketing hypsters (OK, I made up that term) use it that way. How surprised do you think they’d be to know that they are right on target? This post offers a little explanation about how nighttime fat burning is supposed to work and how you can make it work better. First off, your peak fat burning period out of every 24 hours is about 9-10 hours after you have dinner … if you don’t snack before bedtime! Some other variables play a role, too. These include when, what, and how much you eat and on the frequency, intensity, and duration of your physical activity. So why is sleep so important for you on how to burn fat naturally? Actually, sleep itself isn’t the main point. The key is the importance of the time between when you finish dinner and when you have breakfast, which just happens to include a typical night’s sleep. Fat cells store fuel that you can use for energy when needed. A few things have to happen before storage fat gets moving. Right after you finish dinner, you are still burning off the food calories that you just ate. If you can avoid eating an evening snack, the calories from your meal will be mostly gone within a few hours, at which time you will start to use up stored carbohydrate, in the form of glycogen, from your liver and muscle tissues. Near the end of digestion, you will start using up fat that is circulating in the blood. It takes 9-10 hours for your food to be completely digested and your blood fat to be mostly used up. This is golden fat burning time! Your body begins, finally, to mobilize fat from storage and to start using it for your metabolism. This fat mobilization period is when your body is supposed to burn fat naturally while you sleep. Doesn’t that sound easy? You really don’t have to do anything at this point except to have breakfast about twelve hours after you had dinner. Ideally, at breakfast your furnace has already been at its fat burning hottest for about 2-3 hours, the period from 9-12 hours after your dinner. That’s really all there is to it for optimizing your metabolism while you sleep. The explanation here of how to burn fat naturally while you sleep leaves out the importance of getting good sleep and otherwise releasing stress at night. These are additional factors that will influence your metabolism. All this means is that you can ensure optimal fat burning by getting good sleep. Good sleep entails several 90-minute periods of alternating between deep and light sleep, over about 8 hours of uninterrupted sleep. Depending on your health and how well you eat in general, whatever you do to make sure you have about a 12-hour period that includes good sleep between dinner and breakfast will give you your best chance to burn fat naturally every night. After-dinner snacking, a little bit of ice cream before bed, a midnight snack … all of these will interrupt your prime fat-burning time. Your body simply won’t have enough time to get to the point of mobilizing stored fat. This is a fact of your normal biochemistry. If you have trouble making it from dinner to breakfast without eating, you either have an underlying health problem or bad habits that you have to overcome, or both. If you want to burn fat naturally, the way your body is meant to do, you must allow it to dip into stored fat for at least a couple of hours every night. This is your simplest, easiest, and best hope for harnessing the power of your own metabolism. Does How Burn Fat Naturally During Sleep Work for Everyone? Unfortunately, the answer is that not everyone can benefit from nighttime fat burning as much as they should. Your body has its limits, especially if you have diabetes, hormone imbalance, thyroid deficiency, a poor lifestyle, or are taking a number of prescription drugs. The good news is that most of the things that slow down your fat metabolism are based on poor choices that you can undo. Your body knows how to burn fat naturally while you sleep, so doing whatever you can to be healthy and sleep well will keep you on track to do so. 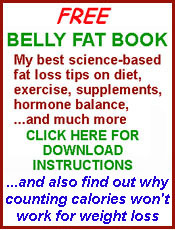 Lose Fat – But Which Fat? This is a great post and excellent advice. Sleep is important for so many reasons, people forget that. One question which I hope you can clear up for me is, why does it work against you to skip breakfast, from a fat loss perspective? If the body’s engine is in that fat burning zone for 2-3 hours, why does it not work to extend that period? I’ve read elsewhere on your site that it’s important to eat plenty of protein to get things going. I’m always happy to eat eggs and some ham or bacon in the morning, and I’m also happy skipping breakfast on occasion. I’m curious why you removed my comment? Whoops, I see it now, not sure why it wasn’t there. Apologies. Great article but it did not address alcoholic beverage drinking after dinner. How does drinking after dinner affect the bodies ability to burn fat during sleep? Hi, David…Make no mistake about alcoholic beverages. They are liquid food. Any advice about eating patterns for burning fat applies equally to alcoholic beverages. No beer at bedtime!